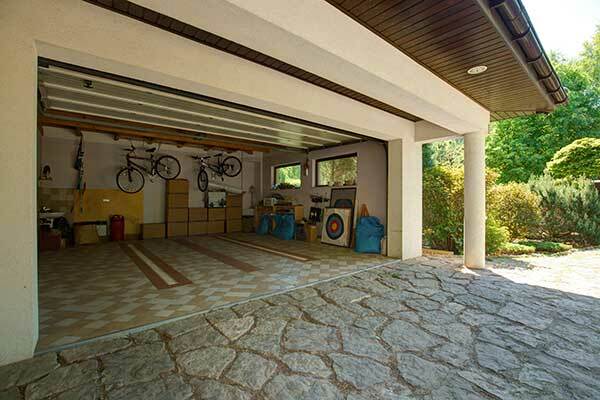 It's fairly easy to find examples of impressively decorated garage doors on the internet, as well as materials to decorate your own with. 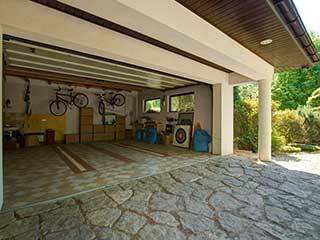 Before you go wild with ideas, you should remember these tips for re-decorating your garage door and how to avoid mistakes or accidents while doing so. The best decorative work is usually found by finding the perfect compromise between creativity, and restraint. You don’t want your door to look like all the others around you, but you also probably don’t want it sticking out like a sore thumb and clashing with the rest of the neighborhood’s aesthetic. Look at the rest of your property and at the houses next to yours, before deciding on any colors or themes for definite. A mood-board might even help! Make sure you know what your garage panels are made of before you get started. Steel or aluminum panels will expand and contract when the weather changes. Unfortunately, this can ruin many paints used for exterior garage door panels, causing them to flake off. For metal panels, you’ll need a heavy, latex-based paint, and you’ll need to apply it generously. Wood or plastic panels are easier to work with; normal wall paint should be enough, as long as the weather and levels of wear-and-tear aren’t dramatic. Never forget that your garage door is a functional, heavy duty machine before anything else. Before working on the door, you should make sure that the opener is unplugged and the door is safely locked into position. You should also consider whether the panels need to move and fold against each other during operation. If you paint those spots on too thickly or attach too big of an ornament, you might clog the operation. If you’re not sure, ask a professional. For more advice or assistance on any garage door related issues, give our team at Garage Door Repair Minnetonka a call today.